They are consumed over 95 billion times a year. That’s a lot of instant noodle meals! However, they are cheap and easy to make which gives us good reason to eat them even though they are not very good for us at all. They are low in protein, vitamin and fiber and very high in carbohydrates and fat. YOU WOULD THINK THAT IT COULDN’T GET ANY WORSE. BUT IT DOES! Unfortunately, in addition to all the malnutrition, this particular kind of noodle can also increase the risk of heart disease and stroke because of what it contains and that is Tertiary-butyl hydroquinone (TBHQ). This is a byproduct of the petroleum industry and it serves as an additive to this widely consumed noodle by helping to preserve it. A study at Harvard School of Public Health reveals that those who consume this noodle regularly have an increased risk of developing “metabolic syndrome.” This will happen no matter how healthy the person is otherwise. Increased risk of heart disease, stroke, and diabetes. 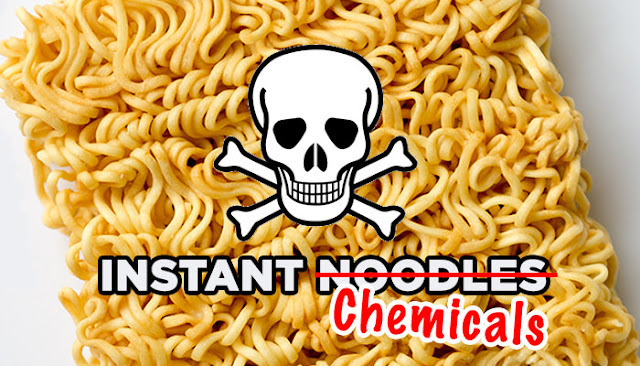 The Korea Food and Drug Administration (KFDA) found in June 2012 a cancer-causing substance known as Benzopyrene in six brands of these noodles made by Nong Shim. We are aware that it costs a lot to eat well. However, we can all agree that some of these processed foods have got to go! It’s not worth the risk to your health. Instead, eat some toast or a sandwich. Your body will thank you in the long run!